One prominent example of a Reverse ICO has already occurred. Recently, Kik Interactive successfully completed an ICO of nearly $100 million. With over $3 billion raised in ICOs this year alone, ICOs are not unsubstantial. What made the Kik offering far more unusual is that Kik has already raised over $100 million from venture investors. The standard documents used for angel and venture investing predate the current ICO craze and, not surprisingly, do not expressly address ICOs. Understandably, these documents are all “share-centric.” The question that needs to be addressed, therefore, is: What rights, if any, do existing investors have when their company elects to undertake an ICO? Equity Tokens — these tokens are essentially digital shares with the issuer specifying equity participation, voting rights and other token/shareholder rights. Non-Equity Security Tokens — these tokens do not grant equity rights but under the Howey test are nonetheless classified as securities. Utility Tokens — these tokens allow the purchaser to buy products or services from the issuer. Although not the subject of this article, the U.S. Securities and Exchange Commission (SEC) has issued initial guidance with respect to the securities law status of tokens issued in ICOs. The SEC’s Chief Accountant has also put out guidance detailing some of the accounting issues raised by ICOs. This article will identify several issues raised by ICOs under commonly used SAFE, Convertible Note, Series Seed and Series A documents. After a Reverse ICO, a venture-backed company will have both tokens and equity in the hands of investors. Prior to the ICO, the only way an investor could invest in the company was by buying its stock. After the ICO, the investor would have a choice of buying the stock or buying tokens. At least in the current environment, there is reason to believe that demand for tokens will be greater and drive up relative prices for tokens. Equity holders may find reduced demand for their equity. Further, if the tokens remain outstanding at the time of an exit, it is difficult to predict the impact of outstanding token pools on exit valuations in either an acquisition or IPO scenario. Many venture funds make relatively small initial investments, anticipating that they will deploy significantly more capital in subsequent rounds. 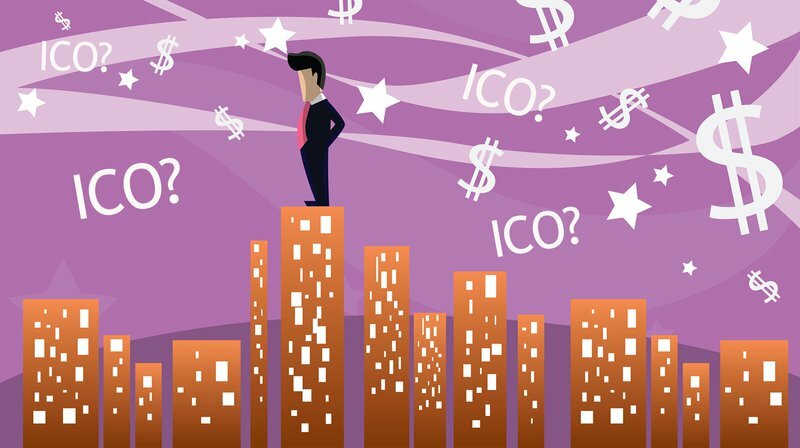 ICOs may reduce companies’ needs for future equity raises. As a result, venture funds may have reduced opportunities for follow-on funding. For holders of Convertible Notes and SAFEs, under most currently used form documents, ICOs typically will not be considered an event that triggers a conversion. In some cases, ICOs may also delay or even eliminate subsequent equity financings. Further, in successful companies, ICOs often will raise the pre-money valuation at which conversion occurs, thereby diluting SAFE/Note holders (although conversion caps in many of these instruments may mitigate the impact). Under the current agreement forms, tokens sold in an ICO would not trigger the pre-emptive rights of existing shareholders — thereby denying them an automatic right of participation in the ICO. Under the current agreement forms, tokens sold in an ICO would not be subject to the rights of first refusal, co-sale rights and the transfer restrictions typically applicable to shareholders in venture-backed companies. Anti-Dilution Protection. If a company underprices its tokens, its impact on valuation could be similar to a “down round.” However, unless tokens are issued as equity, they would not trigger the anti-dilution protection clauses in the standard forms. Liquidation Preferences. If token holders are given equity participation in an issuer, the issuing documentation will need to specify where they stand in the liquidation stack. For utility tokens, if the claim against the company is viewed as contractual (i.e., the holders of a pre-payment for products/services), token holders may be unsecured creditors instead of shareholders — in which case they would rank ahead of all equity classes. Mandatory Conversion of Preferred Shares. Venture documents typically provide for mandatory conversion of preferred shares in an IPO of a specified minimum amount raised and minimum share price or approval by what is typically a supermajority of preferred shareholders. Several ICOs have raised in excess of $100 million. If these companies go public, it is possible that some may not need additional funding and may do so without a public offering of additional shares (i.e., a direct offering). However, if not all shareholders agree with the decision to go public, the mandatory conversion provision could not be utilized unless approved by a supermajority of the preferred shareholders, which in some circumstances could impede the ability of an IPO to proceed. Many ICO issuers are positioning their tokens as “utility tokens” that can be used in the future to buy the issuer’s product or service. As a result, these tokens constitute pre-pays for the future delivery of goods and services. In the future, when the products/services need to be delivered, the venture may experience cash flow issues because no new funds will be coming in to pay for the product or service. Currently, the regulatory status of ICOs is unclear. Issuance of tokens in a manner that does not comply with the eventual regulations that emerge could create liabilities for the company and/or limit its ability to issue equity in the future. In addition, the accounting and tax rules for ICOs have not been established, and as a result, there may be ambiguity with respect to several representations and warranties the company typically will need to make in future financings and liquidity events. Officers and directors of companies have fiduciary obligations to maximize shareholder value. When companies are insolvent, these duties shift to protection of the interests of creditors. What, if any, fiduciary duties a board has with respect to token holders has not been explored. If a company is facing a decision that would benefit shareholders at a cost to token holders, do board members have any fiduciary obligation to the token holders? Investor representatives on boards of companies that have conducted Reverse ICOs will not only have to deal with uncertainty but also potential conflicts of interest if they have not participated in the Reverse ICO. Can Investors Prevent a Company from Undertaking an ICO? While it is difficult to believe that a company would undertake an ICO without board approval, in many early-stage companies, investors do not have control of the board. However, commonly used investment documents may leave shareholders with limited recourse where boards back an ICO. In general, in SAFEs and Convertible Notes, holders do not have protective rights and, as a result, they do not have the ability to prevent an ICO. The protective provisions in the Certificate of Incorporation for Series Seed financings would not provide Series Seed holders with the ability to prevent an ICO. In the NVCA Series A documents, ICOs do not easily fit into any of the matters for which the investor director’s approval is required. The same applies to the protective provisions for the benefit of preferred shareholders detailed in the Certificate of Incorporation. For blockchain startups, ICOs have become the dominant form of fundraising — far exceeding venture capital financing. Given the strength of the ICO market, “Reverse ICOs” are likely to become even more pervasive. For investors this could be very challenging. Existing form agreements in the venture space are likely to be revised to address the possibility of Reverse ICOs. However, the regulatory, tax and accounting uncertainties around ICOs may not be quickly resolved, leaving uncertainty around some of the concerns raised in this article. Revising the form agreements will not address the thousands of venture-backed companies that were financed using pre-ICO forms. For existing investors the path forward is more difficult. Where investors control the board or have blocking rights, they will have the ability to prevent ICOs or influence their terms. For other investors, particularly in early-stage ventures with founder-dominated boards, ICOs have the potential to overturn several assumptions under which early investors funded. These investors may have to wait for situations in which their approval is needed for unrelated corporate actions or their funding is necessary and leverage that position to insist upon amendments to existing investment documents to address some of the investor challenges resulting from Reverse ICOs. This is a guest post by Dror Futter. Views expressed are his own and do not necessarily reflect those of BTC Media or Bitcoin Magazine.